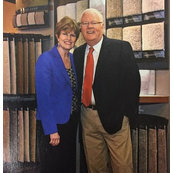 6 Reviews for Classic Carpets and Interiors, Inc. Very prompt and professional. Completed project in a timely manner. I was very happy with the results and would recommend them to anyone. The staff was extremely helpful in helping me pick the right kind of carpet for my home and walking me through the installation process.